Want a new Mega Man game that's good? Are you waiting on Capcom to deliver that game? Well, your great, great, great grandkids will be dust and bones before that ever happens. However, the one of the original creators of Mega Man and the man that helped turn the Blue Bomber into a legend, has thrown aside the pettiness of publisher pride and has gone back to the source of his power and creativity... the gamers. 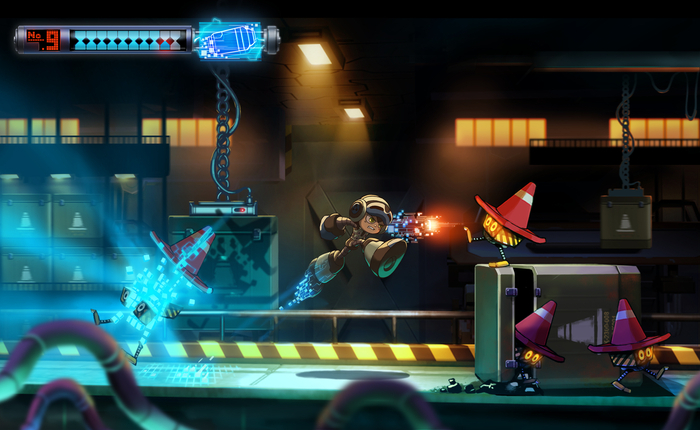 Primed and ready on Kickstarter, the new project from Keiji Inafune is called the Mighty No. 9. Now before getting into the nitty gritty of Mighty No. 9, let me recount the importance of Keiji Inafune: This is the guy that's responsible for producing and directing some of the greatest and most iconic video game franchises in the industry, including Omnimusha, Dead Rising, Breath of FIre, Duck Tales, Phoenix Wright, Resident Evil and of course, Mega Man. Inafune, much like Yoshinori Ono and Hideki Kamiya, was part of the dream-team of creators that helped propel Capcom to the upper-tier ranks as a prime-time publisher during the 1990s and early 2000s. Eventually, many of Capcom's top talent left and along with them so did the creativity that helped spark the software giant into the hearts and minds of gamers as a respectable company producing quality content. Eventually, Keiji went his separate way from Capcom but the bug to create and progress the concepts of his game designs remained. Inafune could not let the legend die. And while Capcom went on to dabble in disc-locked content, overwork their employees and practically cancel every noteworthy Mega Man game in production, Inafune decided it was time to give back to the community and to resurrect a new Blue Bomber. Heading to Kickstarter under the Comcept USA label, Inafune leads a team of veterans on a project that heralds the action-platformer of old and rekindle the loveable characters that helped shape generations passed. But it's not just about nostalgia, the team is combining the old-school with today's generation of technology and hardware capabilities. Just watching that video above about what Inafune and crew have in mind – and seeing him sincerely explain his idea that you could nearly feel in the palms of your hands – almost brought tears to my eyes. It's so amazing listening to the veterans of the industry talk about game culture, ideas and the struggles of creativity in a harsh, unforgiving and sometimes rewarding industry. I think, though, the time is right for this project to come to life and I'm glad Inafune didn't wait too long to harness the reins on his dreams and turn this burning idea into something real. While Mega Man is getting a good retrofit in Nintendo's upcoming Super Smash Bros. U, the reality is that the Blue Bomber hasn't been true to form in ages, and Capcom hasn't done a relevant or evolutionary game with the brand in years. I can easily see the Mighty No.9 surpassing Inafune's old Rockman legacy so long as he and the rest of his team can first hit their financial goal and deliver a memorable experience for the gaming community. Much like Wasteland 2, Project Eternity and Star Citizen before it, this is a time for gamers to speak loudly and clearly with their wallets. Tell the industry what you want to see and what you're willing to support. If you believe in this legend the way the legend believes in his own creativity, feel free to offer your support to this potentially timeless project that could help shape and mold an entirely new generation of gaming for years to come. 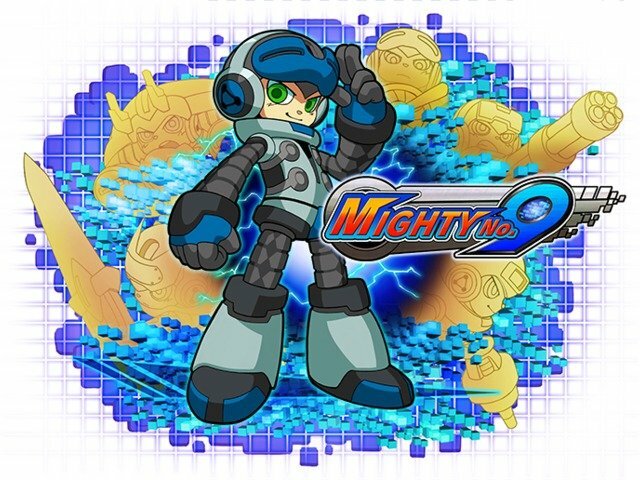 You can learn more by visiting the official Mighty No.9 Kickstarter page.